Scotty wins the prize for being best dressed of the Horse-Bone Tribe. 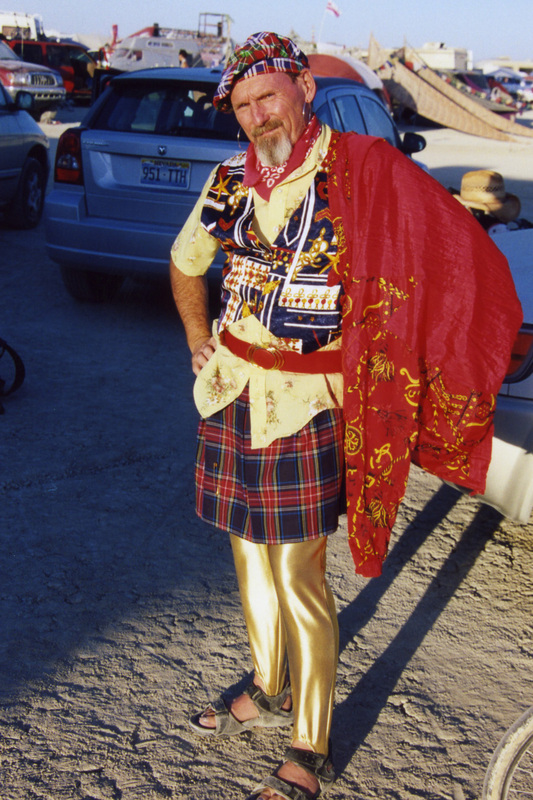 From painted toe nails to early morning dress, to elaborate kilts, he can always be expected to shine... or is that shock? 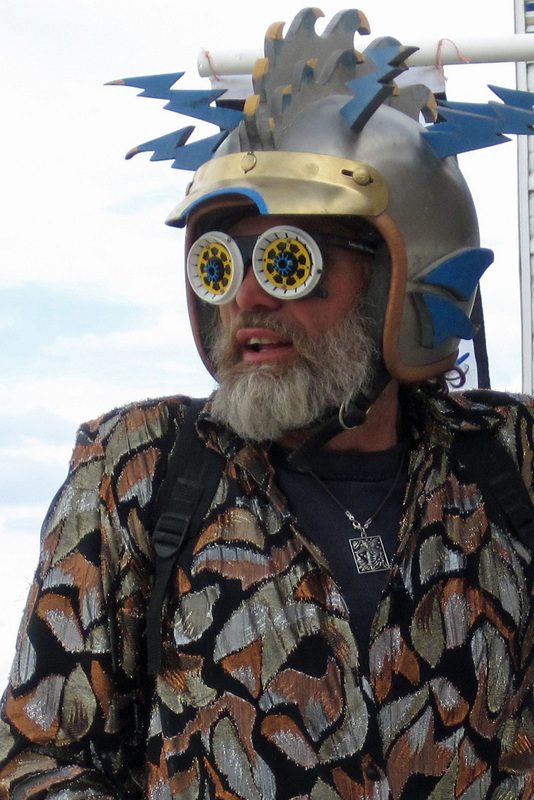 If people watching were a sport, Burning Man would be Big League. 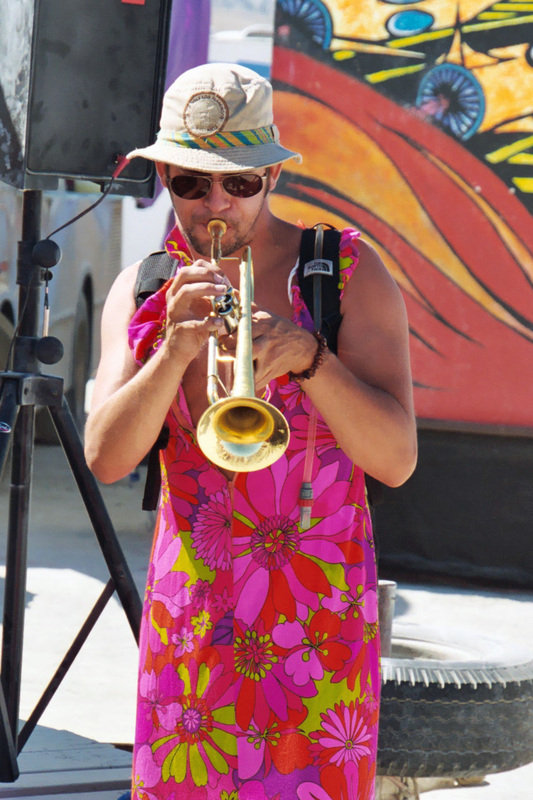 Whether you are bicycling the Playa, hanging out at Center Camp, strolling down the Esplanade or sitting in camp, you are almost guaranteed a show. 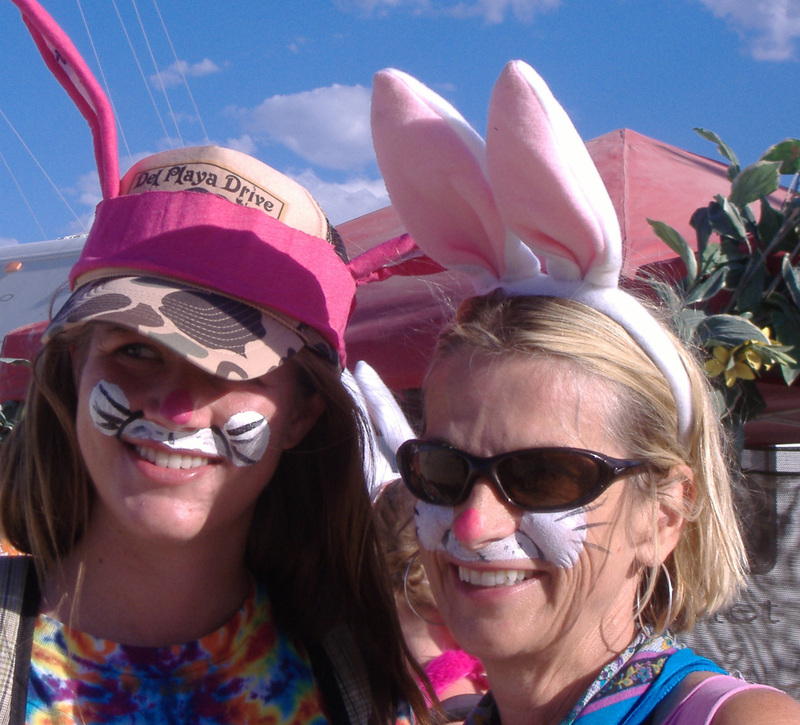 Even a trip to the port-a-pot can be a walk on the wild side. Burners take their fantasies seriously and dress appropriately. Everyone is expected to wear a costume and most people do. Some go all out. There are no rules: exotic beauty and downright ugly walk hand in hand. There is even a costume contest. I was lucky to be considered a paparazzi after one event and had a prime location for photographing some of the more elaborately decked out characters. This particular blog is one that is better expressed in pictures than words. Scroll down and enjoy. 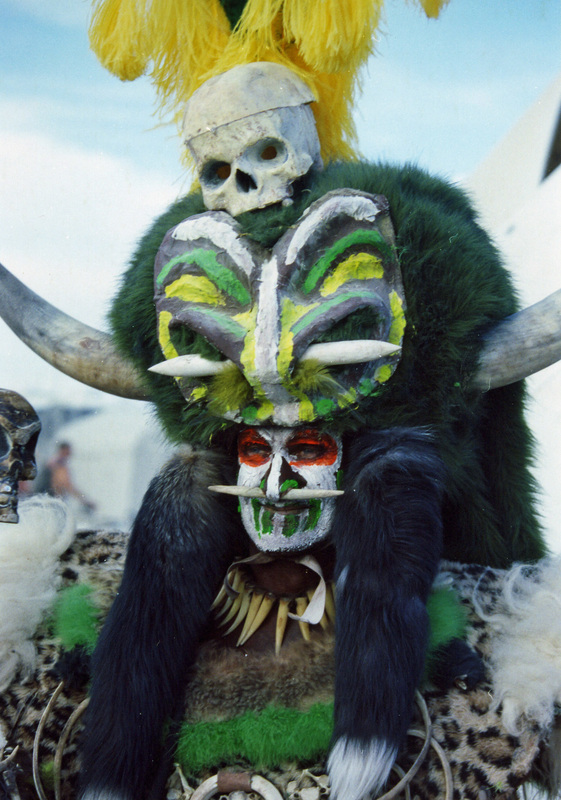 This shaman here wears one of the most elaborate costumes I have seen. It is Burning Man, however. Maybe it isn't a costume. Here's another smile that's hard to resist. I also enjoyed the way her hat set off her face. 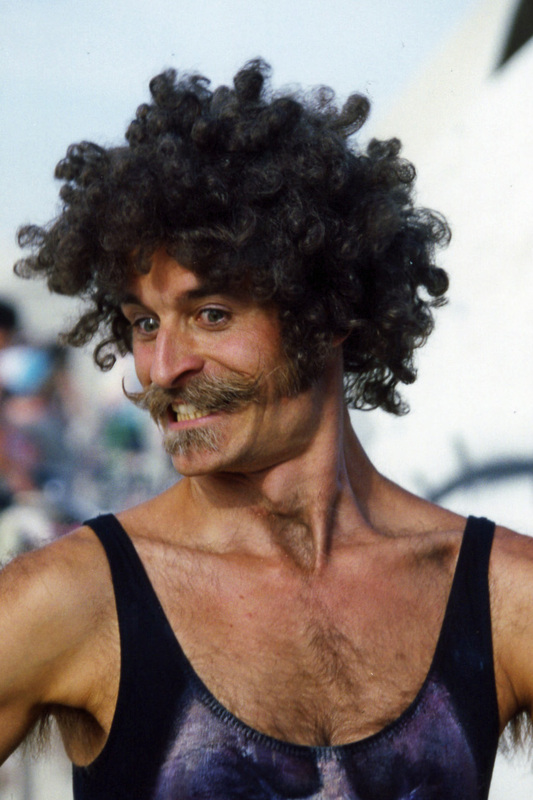 In the category of hairdos, it is hard to beat Mustache Man.Do you have a feeling you have arrived at a circus? Snake Woman also reminds me of the circus, or possibly Las Vegas. Sometimes, less is more, assuming you've got the body to pull it off. Or is that take it off? The women of Horse-Bone Tribe often complain there is more eye candy for the men than there is for the women. Maybe this exotic guy fits the bill. Photo by Don Green. 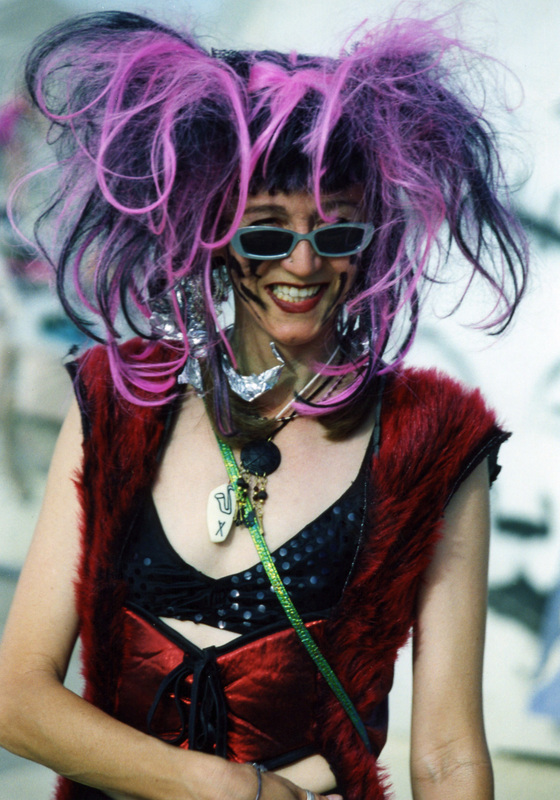 Or what about the purple haired lady? Rocket Man came by to visit us in camp and played us a tune. We rewarded him with a beer. 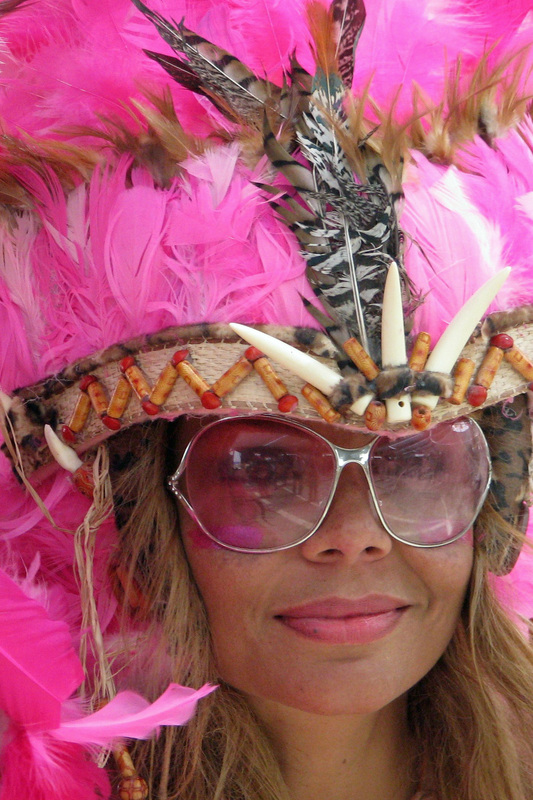 I call this war bonnet with matching sunglasses and lip stick. Talk about a fashion statement. Photo by Don Green. I have to throw in at least one man in a dress. This guy was also an accomplished trumpet player. We have hundreds of photos like these. 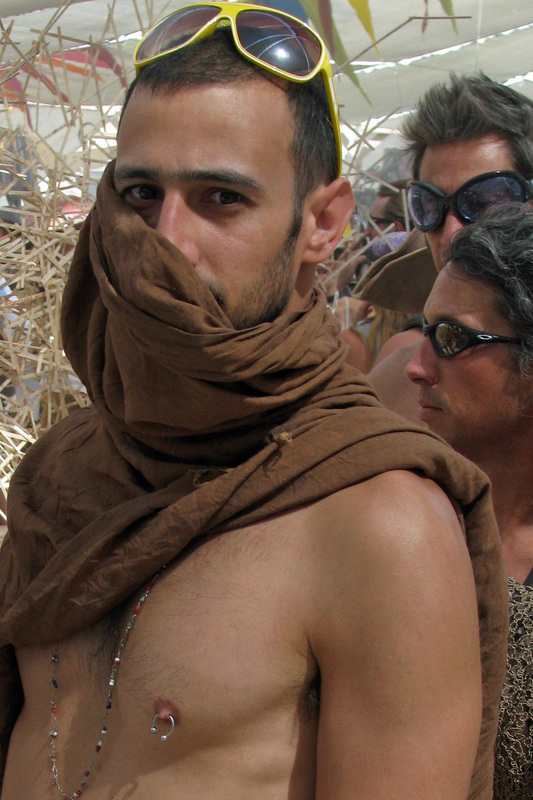 But hopefully I have at least provided a flavor of the folks we see and enjoy at Burning Man. I will conclude with a pair of bunnies from the Horse Bone Tribe. A pair of bunnies from the Horse-Bone Tribe: Ringer and Pape. Photo by Ken Lake. 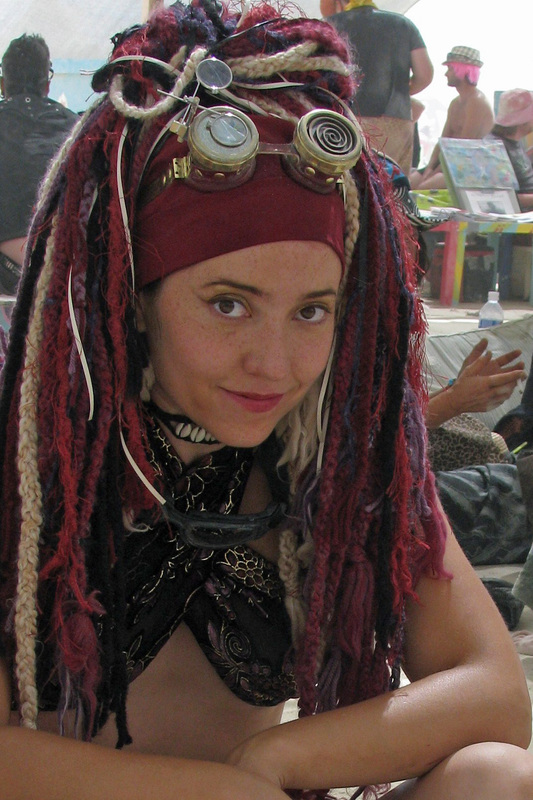 A good reminder of the colors, arts, entertainment and imagination of Burning Man! An experience never to be forgotten…….